Ober Gatlinburg is more than a ski resort, it has year-round fun activities. One of these is ice-skating in the resort’s huge indoor ice arena – especially fun in the middle of the summer heat. The skating is affordable, and the atmosphere is vibrant. 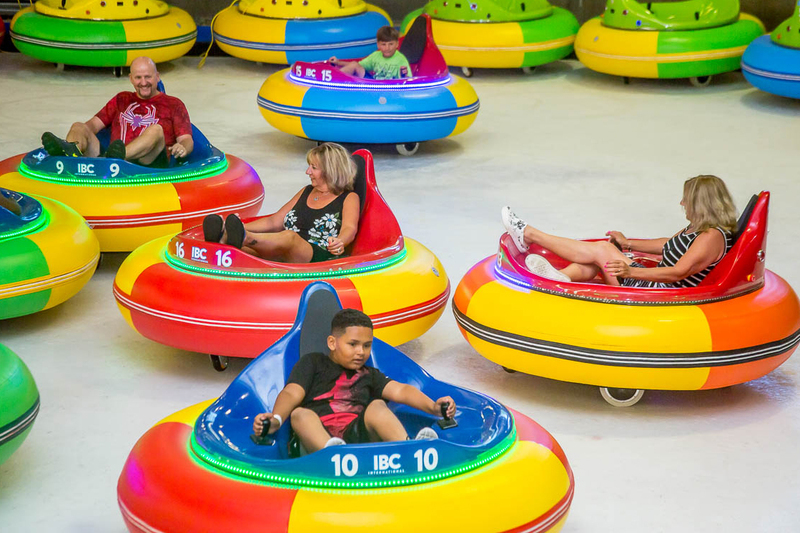 If you don’t skate and don’t trust yourself to learn, rest easy in one of the Ice Bumper Cars! It’s a cordoned off section, so no worries about collisions, except with other bumper cars of course. Bump, spin and zoom around on the ice. The arena is 140 feet by 75 feet, which is large enough to have hosted the ISI Team Competitions in the past, and some spectacular Christmas on Ice events. 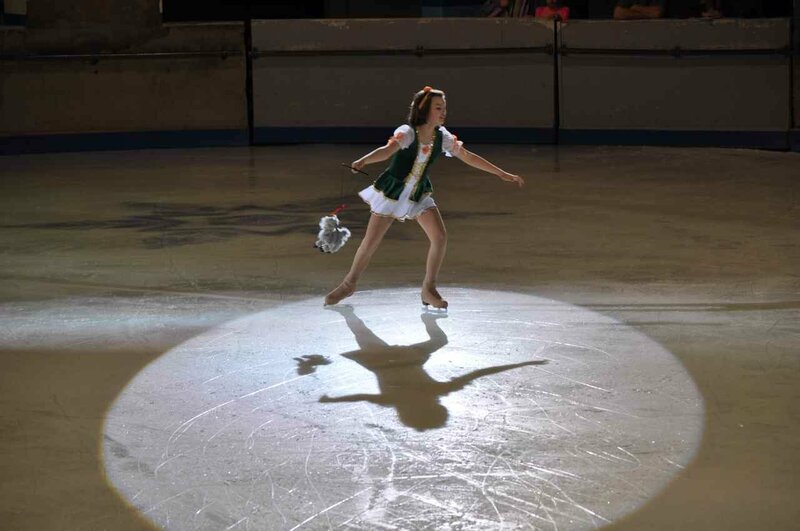 The area has a lot of ice skaters, and local talent alone can offer a great show. Ober Gatlinburg’s program of events is continually changing so we don’t know from year to year if we’ll see any of these events again, or if there will be something new. Either way, it’ll be fun on the mountain. With all eyes focused on the snows outside, it’s easy to overlook the indoor shopping mall at Ober Gatlinburg, and the huge ice skating rink in the center of it. But it’s a great rink for experienced and beginning skaters alike, and for many area skaters it’s never far from their minds. While Ober Gatlinburg is best known for its winter skiing and its long-season snow tubing, it’s open year-round and runs the chairlift all summer as a fun way to get up on the mountain and take in the stunning scenery. Back at base, there are lots of kids activities, including a climbing wall and a water slide – as well as the mountain coaster. See the Ober page for a list of activities and rates. Indoors at Ober Gatlinburg, there’s dining at the Ober Restaurant, also famous for its Oktoberfest in season. There’s also a bar and lounge with a large dance floor. And there are several other eateries, for snacks, pizza, sandwiches – as well as a fudge shop! Ober Gatlinburg offers shopping too, from the Shops at Ober, down at the base of the Aerial Tramway in downtown Gatlinburg, to the indoor mall up on the mountain with a variety of wares, and the huge ice arena in the center.